Cast aluminum wheels and shafts. The top opens for easy clean out. Hole size is one inch. Interior Dimensions 4" x 3-1/4" x 5"
Designed to hang on your porch and give your birds a unique home. 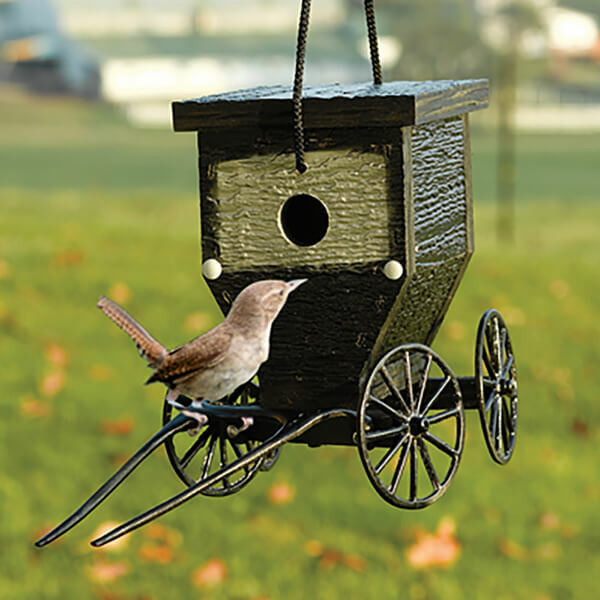 Give your birds a real buggy ride.